Gujarat has always the land of businessmen and entrepreneurs. Business and growth oriented mindset runs in the Gujarati veins. And in times when technology is moving the world forward, it is time to bring together the best mover and shakers in Ahmedabad technology space. Event – Let’s Talk Tech Vyaapaar – will do exactly the same. 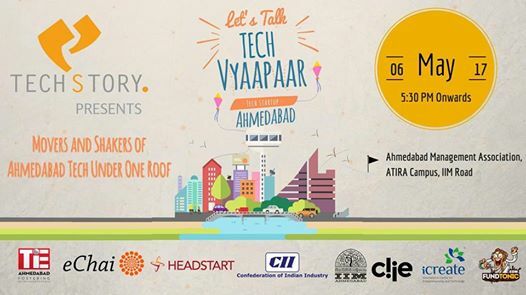 The event will bring together the most influential people in Ahmedabad tech under one roof.